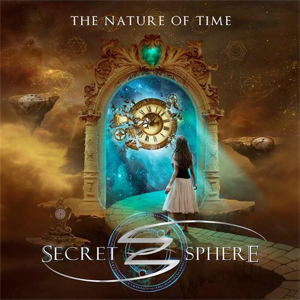 Frontiers Music Srl is excited to present the release of The Nature Of Time, SECRET SPHERE's ninth studio album, on June 2, 2017. The new recording celebrates 20 years of hard work that started back in 1997 with the release of the band's debut album, Mistress Of The Shadowlight. Since then, SECRET SPHERE has evolved and developed their unique style into what has become a trademark sound, making them one of an elite group of bands putting the Italian metal scene on the global map. The addition of extraordinary singer Michele Luppi (also currently serving as keyboardist and background vocalist for the legendary hard rock act, WHITESNAKE) in 2012 brought the band to the next level. This was evidenced by his first release with the band, Portrait Of A Dying Heart, receiving wide fan and critical acclaim and landing on many metal journalists best releases of 2012 lists. The new album, The Nature Of Time, proves to be the ultimate showcase of the band's skill in composing highly orchestrated songs and introducing their foray into a new age of heavy rock and metal music. High class songs with amazing choruses, big vocals, majestic orchestral arrangements, and amazing, mind-blowing, guitar heroics are the order of the day. The Nature Of Time explores the "back to life" concept, an inward looking search of the self that can positively impact everyone's everyday life. This is truly a Symphonic and Melodic Metal masterpiece, a very cinematic album. So close your eyes, enjoy the journey and...the music!